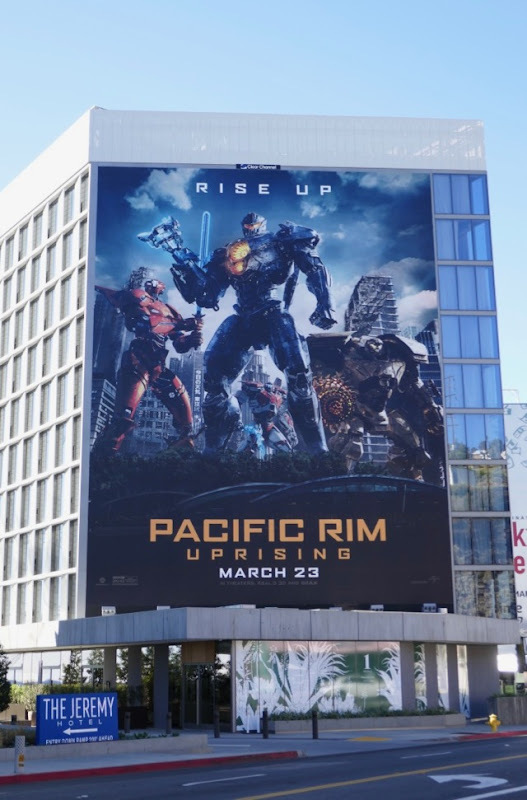 Just when you thought the Earth was safe again, new monstrous Kaiju emerge to threaten the world and its inhabitants in Pacific Rim Uprising. 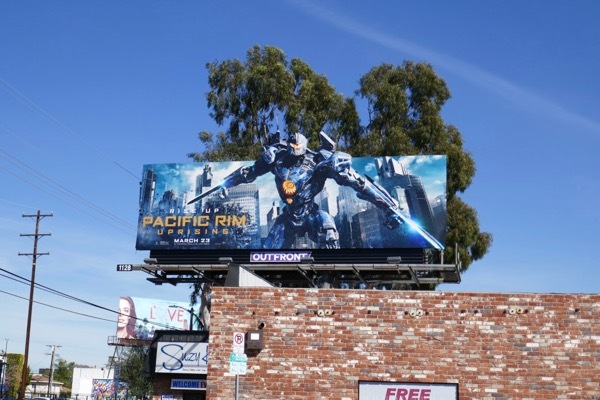 Fortunately there's also some brand new giant robot Jaegers to battle these incredible creatures menacing the globe. 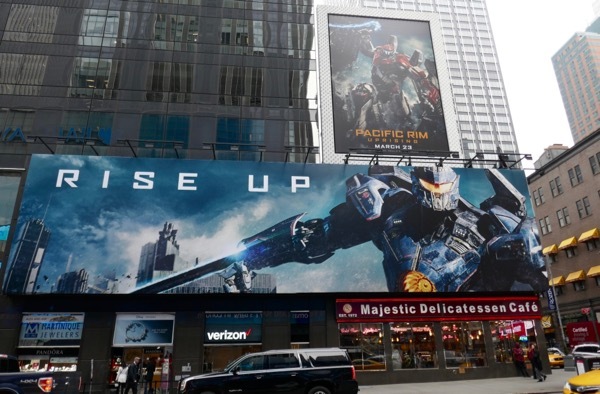 Set ten years after the Battle of the Breach, John Boyega stars as 'Jake Pentecost', the son of Idris Elba's 'Stacker Pentecost', leading a new generation of Jaeger machines and their pilots against this new evolved threat of fearsome monsters and rogue Jaegers. 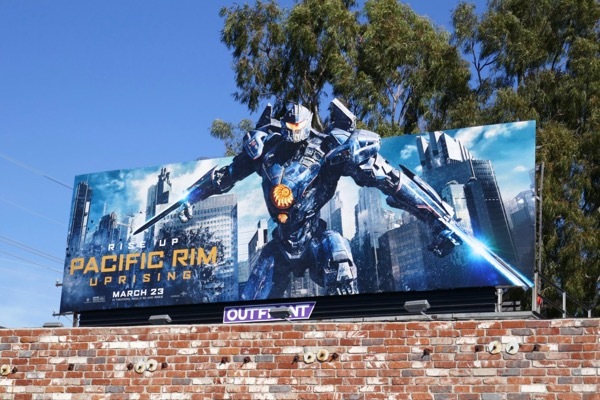 He co-pilots the 'Gipsy Avenger' mech and is joined in his efforts by the likes of 'Saber Athena', 'Bracer Phoenix' and 'Guardian Bravo'. 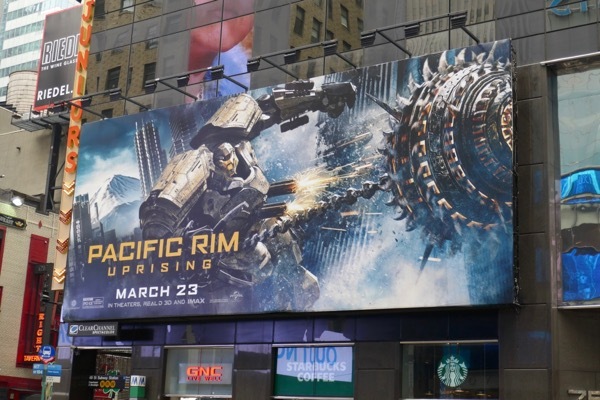 The New York billboards for this movie sequel were photographed along 7th Avenue near Times Square in Manhattan on February 15, 2018. 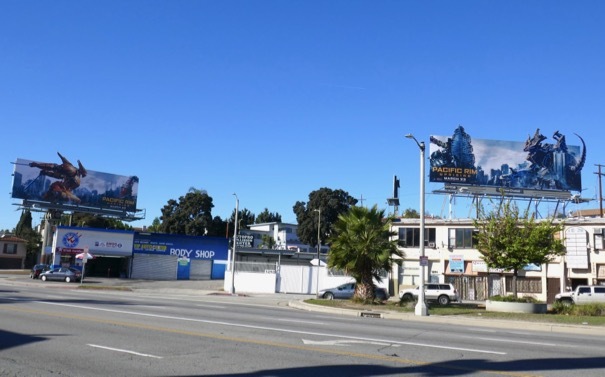 Meanwhile the sample of L.A. billboards were snapped along La Brea Avenue, La Cienega Boulevard, Fairfax Avenue, Santa Monica Boulevard, 3rd Street and the Sunset Strip from March 4 to March 7, 2018. 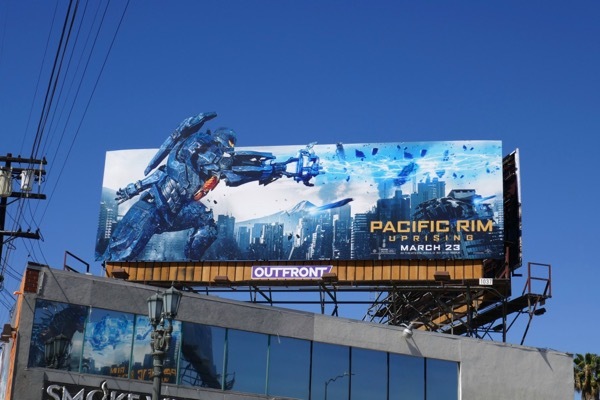 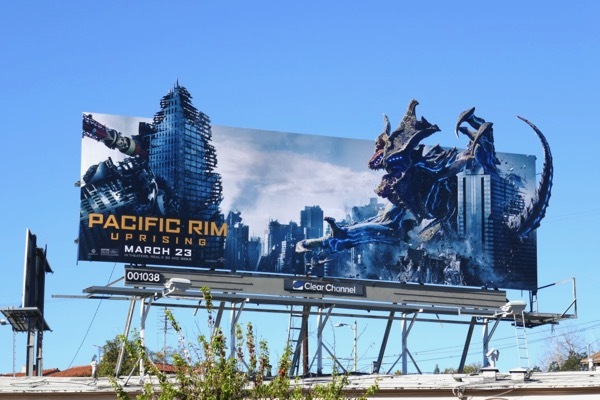 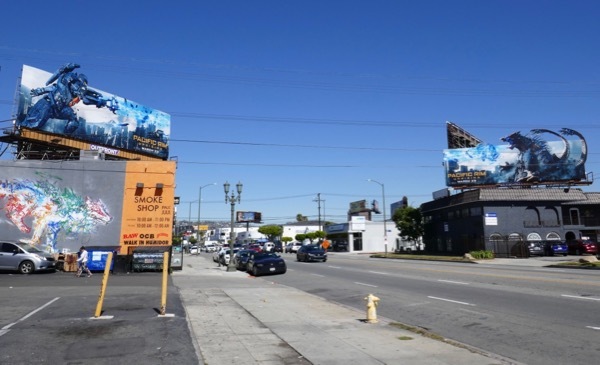 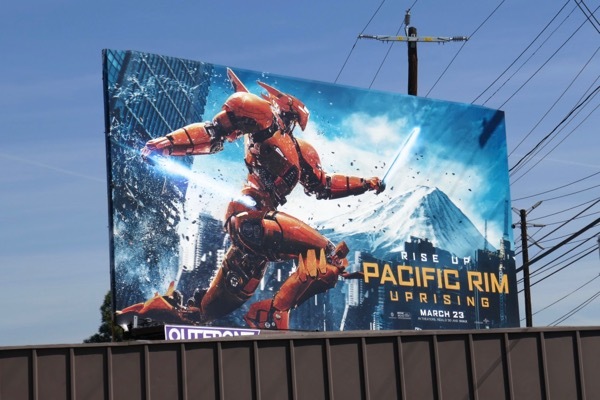 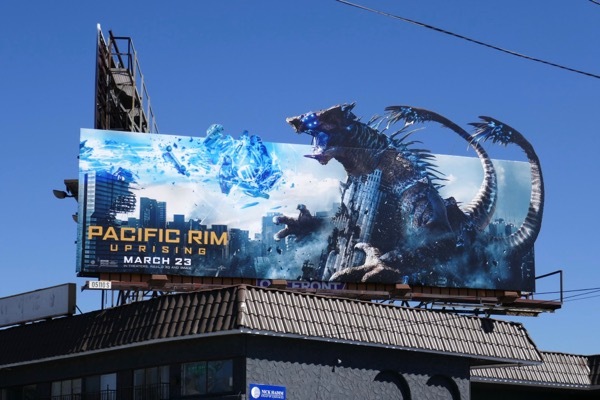 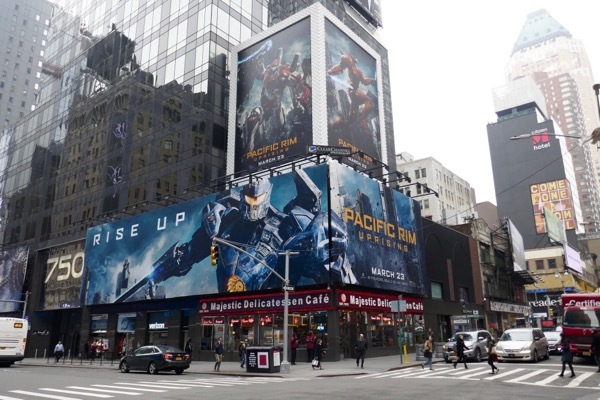 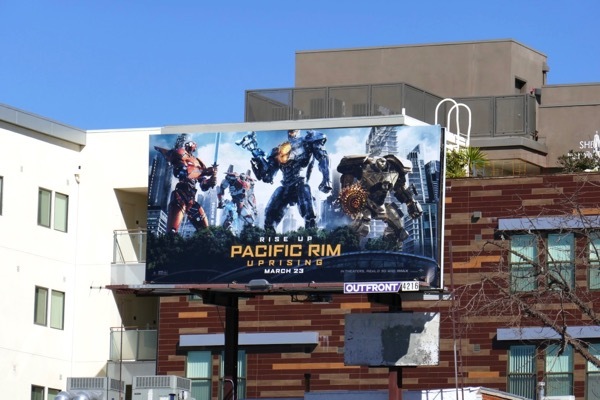 Fans of the monster-fighting film franchise can also check out these Pacific Rim movie billboards filling the skies around L.A. in 2013.
Who's letting these Kaiju into our world and can this new generation of pilot cadets defend the planet? 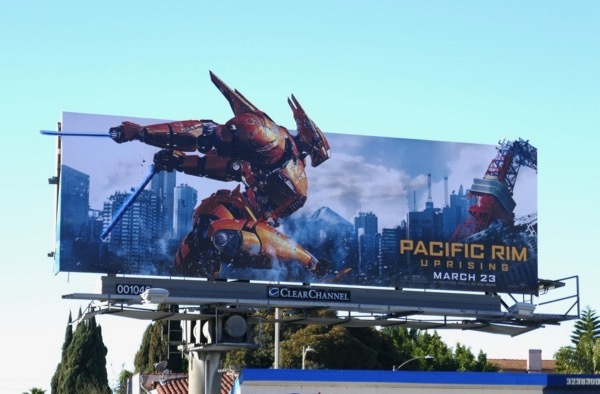 This year it's the survival of the biggest and winner takes all, but only time will tell whether Pacific Rim Uprising can conquer the box office this March. 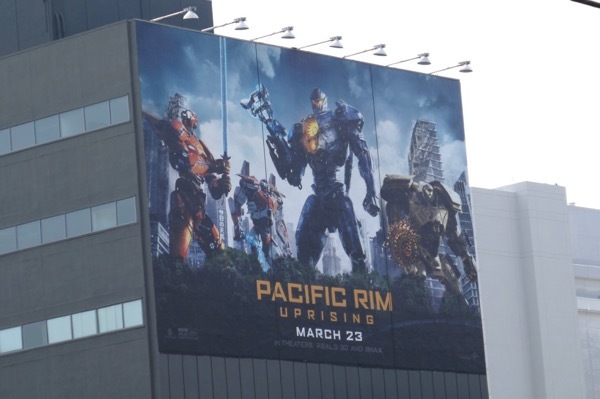 UPDATED: Here's another giant-sized billboard for the movie sequel spotted high above Hollywood's Highland Avenue on March 12, 2018.